As an industry consultant, entrepreneur, and a professional manager, Ayse Burcu Arslan has worked in the field of ‘International Receivables Management’ since 2007. Ayse is a graduate of Political Science and International Relations from Bogazici University Istanbul / Turkey, and holds a Master’s degree in Organizational Studies from the University of Tilburg / Netherlands. She completed her Master's thesis in 1 year and her successful research was about the international orientation of Turkish Airlines. Ayse Burcu Arslan recognized the need for a dedicated, Istanbul based, international, debt collection and credit risk management firm. It is from this business, ARS Consultancy...that she helps companies around the World, navigate the global market. 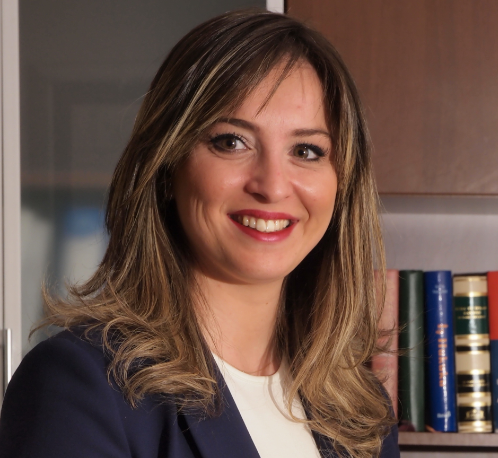 In addition to her many international clients, Ayse has worked with, and advised international companies both in and outside Turkey. She is the first person speaking about the industry of 'debt collection' in Turkish media with news articles on the best seller newspapers, magazines (Economist, Capital, Forbes etc..) and live programs she was invited on TV Channels (Bloomberg, CNN etc..) in Turkey. "Ayse will not rest until every single possible detail, development and outcome have been thoroughly investigated"
"It is her cross-cultural expertise that enables her and ARS Consultancy to offer truly international service in today’s, ever-changing, global economy." "Her business maintains a high level of integrity in practices following international standards and code of ethics. Ayse is an execellent representative to generate goodwill and enhance your company’s image and reputation." In 2012, Ayse Burcu Arslan enabled her company, ARS Consultancy, to win the award of ‘Best Marketing Strategy of the Year’ with the creative promotion video of her company, dedicated for a successful and amicable recovery. . The award was given by Global Credit Solutions during the Annual Conference held in Hong Kong. Her success lies in clear communication, financial and legal knowledge and also familiarity with local customs and culture. Ayse also pioneers the collection trainings in Turkey with the main focus on negotiation, mediation, confliction resolution, and persuasion skills. Today, ARS Consultancy offers a wide variety of financial and due diligence services, as well as consulting services via exploring innovative solutions to today’s problems. We are mostly working with International B2B claims and our expertise is to reach an amicable solution during ARSinkaso Prelegal Collections Stage (out of court). As ARS Consultancy, we are the only collection agency in Turkey specialized in ‘international cases’ and our expertise is to reach an Amicable Recovery Solution during ARSinkaso Prelegal Collections Stage. Our team is composed of experienced debt collection agents who are native speakers in Turkish (and also fluent in English) and lawyers who are specialized in enforcement law for more than 10 years. We are the Turkish partner of GCS Group and a member of ACA International, FENCA, IACC, TCM, CSA-UK and ALQ. For ARSinkaso Prelegal Debt Collection, our working principle is ‘No Recovery No Fee’which enables our clients to pay all lawyer and consultancy fees after a successful recovery. These fees are in the form of commission rate which is determined in the beginning on an agreement with our clients. ARSinkaso: Debt Collection before legal action. Our Collection team is specialized in negotiations and we prioritize to arrange an amicable via alternative settlement solutions. There is a contingency based fee for all pre-legal collections. ARSrisk: Credit and Business Reports, Due Diligence, Asset investigation, Media and Reputation Checks, Site Visit, Skiptracing and more. ARSlegal: Via our experienced & specialized lawyers, we also manage the Legal Enforcement Proceedings in Turkey addition to other services in all fields of law. At this stage, the court fees, and legal expenses are asked in advance; and the rest of the attorney fees become payable after recovery. Through our International network, we provide debt collection services in 155 countries. Our representatives are local experts with vast experience in each market. ARS Consultancy is Turkey’s first firm specializing in International Receivables Management. We are the only Turkish partner of Global Credit Solutions, the World’s leader in credit risk management. Our pre-legal debt collection program fees are contingency based. In other words... “No Recovery...No Fee”. We work hard for your business and our recovery successes demonstrate this. We are confident in our abilities and the excellent services we deliver. In the event, that after exhausting all pre-legal methods, there is no recovery, ARS Consultancy will guide and assist your business in legal debt collection through our solution partners/legal team. ARS Consultancy will recommend a course of action, utilizing the best legal representation for your needs. Our detailed analysis of your case provides our legal opinion, a step-by-step course of action, a procedural explanation, and an accurate expectation of costs. Please do not hesitate to contact us if you have any questions about our services or any inquiries in Turkey. We would be happy to share our advise.